The recent announcement is political in nature and represents an attempt to convict the former president. A Brazilian regional appeals court, TRF-4, announced last week that former president Luiz Inácio Lula da Silva’s is scheduled to take place on the 24th January 2018. In response to the announcement, institutions and individuals across the political spectrum pointed out the suspicious and unusually quick judicial processing procedure. Lula da Silva is appealing a conviction for allegedly accepting US$ 1.1 million in bribes from construction company OAS to pay for a beachside apartment in Guarujá, São Paulo state. On several occasions, throughout the trail, Lula da Silva’s legal defense team have provided evidence that the former head of state never received any benefits other than his presidential salary and the gifts routinely bestowed on a head of state. Meanwhile, since Lula da Silva’s first trial began in November 2016, several legal motions have been filed for alleged abuses of power by judge Sergio Moro. Similarly, the TRF-4 is displaying partial judicial procedures by siding with the prosecution and failing to ensure the rights of the defendant. Similarly, in a recent article published by website CartaCapital, it was recently pointed out that, "the case was processed in record time by the TRF4. There were 42 days between the conviction by Moro and the beginning of the proceedings of the second hearing." The intention of the "judges" is clear. 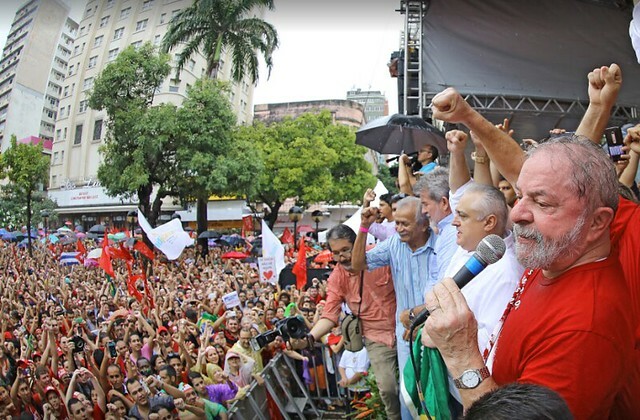 Everything is being decided with the objective to disqualify Lula da Silva from participating in the 2018 elections, who is currently the presidential frontrunner in pre-electoral public opinion polls. The scheduled ruling will only sharpen the sting that has been inflicted by the supporters of corrupt political officials on large swaths of Brazilian society. The battle, however, is not over. Due to repeated judicial irregularities in the handling of the Lava Jato corruption investigation in Brazil, Lula da Silva may still be allowed to take the case to the Supreme Court or the Superior Court of Justice. However, the most important measure of accountability will be the mobilization of civil society, both within Brazil and internationally. This is not a time disenchantment or hesitation.